There are many things to like about ‘John’ Wayne Parr. Best of all, he always comes up with a story. Just ask his friend, Joe Rogan. Parr’s story is so detailed it needs to be considered in terms of chapters, and the latest began with his return from retirement. Parr’s achievements were always going to cast a long shadow, as he is often described as Australia’s best-ever Muay Thai kickboxer. That sort of shadow is something that every middleweight with something to prove will want to step out of to enjoy their own time in the sun. 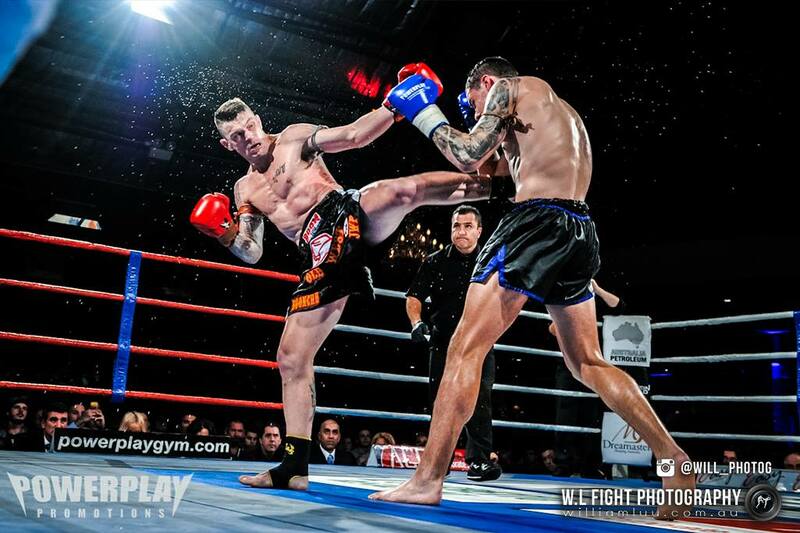 Toby Smith, just into his early twenties, is the rising star of Australian Muay Thai. Smith and Parr clashed at Powerplay 24 in June of last year. The results were conclusive. Smith took the win and, in the process, inflicted damage of the sort Parr had never experienced before. Remarkably, in more than one hundred and twenty fights, he’s never broken a bone. Smith caught Parr with an elbow to the eye socket that finished the fight. Parr knew he was in serious trouble. The aftermath of the elbow proved to be severe. “The elbow had broken two orbital bones; inside of the eye socket and the cheekbone in front of the eye. Normally, the muscle falls into the fracture and the eye is sucked back into the skull. My eye only got sucked back two millimeters into the skull, not a full centimeter. Wayne is two things; optimistic and philosophical. While Parr escaped surgery, Smith certainly left his mark. It sounds both disturbing and distracting. Parr moved into retirement and back out again, almost like the pool was a little bit cold. He has had a number of fights on his own promotion, Caged Muay Thai, where Thai boxers take each other on in a cage, with four-ounce gloves, under full Thai rules. 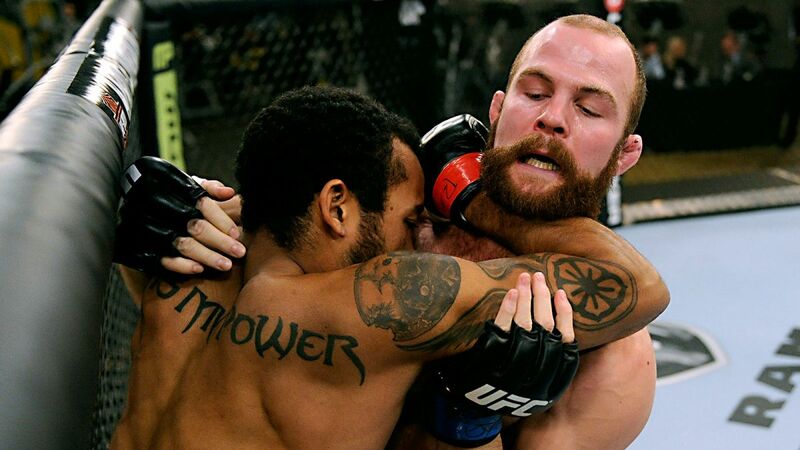 Purists can argue whatever they like; the fact is, MMA allows different forms of engagement where a fighter can choose to escape concussive punishment by taking the contest to the ground. CMT allows no such reprieve; the striking is more intense. It’s hardly a backward step for a man who has just suffered the most significant injury of his career. Wayne’s experience both in the ring and the cage has crossed over in some interesting ways. As most people are aware, he spent some time as a part of Georges Saint Pierre’s camp, coaching him in striking. 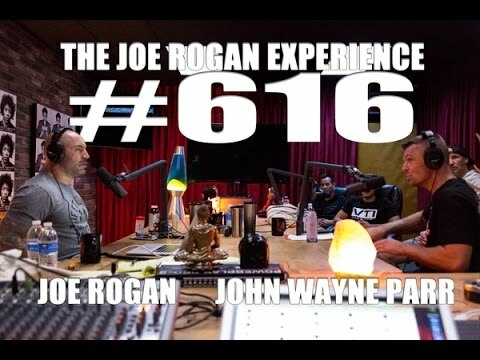 The experience lifted Parr’s profile to the point where he became known to Joe Rogan. Parr has built on his reputation as a fighter, giving a number of seminars in the US and Europe. All of them have garnered outstanding attendances. “I stayed with my friend Andy Scott; he’s the part-owner of ‘Training Mask’. He organized the seminars. I did five seminars while I was there, in Hollywood and San Diego. We got about fifty to seventy people. As Parr’s reputation has grown, further doors have opened. Some of them have had Rogan’s hand on the doorknob. The visit was preceded by some private tuition. “I’m me. I’m a pretty straight up-and-down person. My downfall, if anything, is that I’m too honest. I guess I get a lot more respect [that way] – the word humble comes up a lot. I am appreciative of these opportunities. Things are different at that level, including the public perception of the sport. 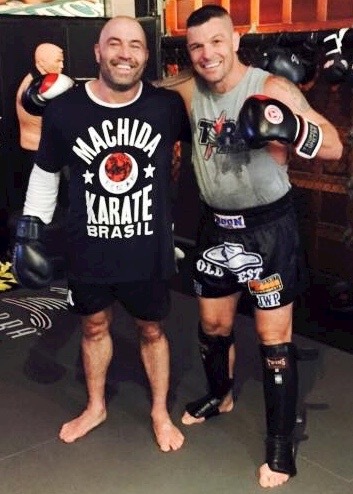 “The MMA crowd are a completely different beast [to the Aussie Muay Thai community]. They are very critical and negative. “GSP has four million people on facebook, and eighty per cent of them hate the way he’s fighting. When you’re at that level, you’ve got people ripping on you. People are commenting on his shoes or the way he parts his hair. Parr has had the full insider experience, including working Richard Walsh’s corner on UFC 184. Unfortunately Walsh didn’t have such a positive experience. When asked what he’s learned from his exposure to the UFC, he replies with a characteristically disarming answer. While Parr has opened significant channels as a trainer and educator, he isn’t finished as a fighter just yet. He’s fighting again on his promotion, Caged Muay Thai, on May 9. The obvious question to ask is the one Toby Smith stamped on him. Parr’s gym, Boonchu, is busier than ever. It appears that, for now, Muay Thai and MMA can peacefully coexist in the state of Queensland. Fightsports continue to grow in Queensland, where the sheer weight of numbers of everyone involved make it the nation’s unofficial capital. Wayne Parr is at the forefront, his legacy casting a long shadow behind him and, courtesy of the interest of influential people like Joe Rogan, that shadow is achieving an international prominence. 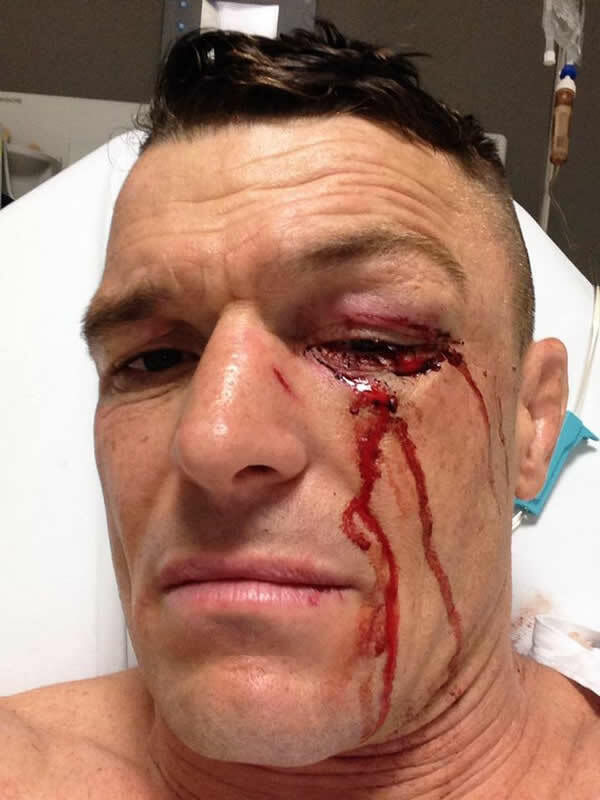 This entry was posted on July 11, 2015 at 6:18 am and is filed under 'John' Wayne Parr, Journalism, Kickboxing, Martial Arts, Real Men with tags 'John' Wayne Parr, Boonchu, Caged Muay Thai, CMT, Georges Saint Pierre, Gold Coast, Hollywood, Joe Rogan, Junior Dos Santos, Les Sherrington, Mark Hunt, MGM Grand, MMA, Orbital bone, Powerplay, Queensland, Richard Walsh, Ronda Rousey, San Diego, Toby Smith, Tyrone Spong, UFC, UFC 184, Wayne Parr. You can follow any responses to this entry through the RSS 2.0 feed. You can leave a response, or trackback from your own site.